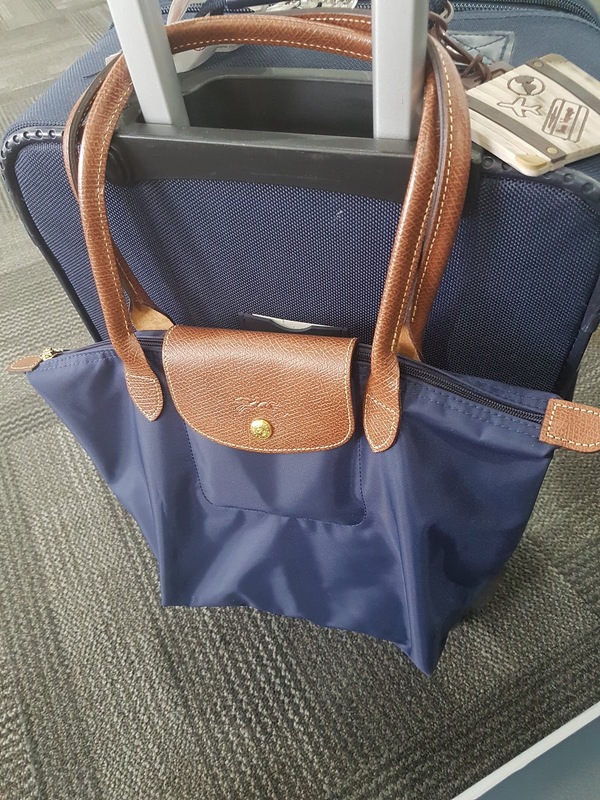 Over the years in the blogosphere and on the handbag-lovers forum that I lurk in, I've always noticed the deep love for the Longchamp Le Pilage bag... and frankly, I didn't get it. Sure I'd like to have a "Made In France" designer bag from Longchamp but it better be rich, buttery leather! I seriously don't get the concept of a high-end bag that's not made of leather... I guess that's the non-vegan in me talking. Anyway, I was in a consignment store sometime last year and saw a nice Longchamp Le Pilage for $65. Curiosity got the better of me and I purchased it. I didn't get a chance to use it until my weekend trip to Puerto Rico 2 weeks ago and now? Wow! Now I get it! I so enjoyed travelling with the Longchamp Le Pilage that I briefly flirted with the idea of selling all my handbags and owning just a couple of these. It really does check a lot of boxes but I don't think I'm going to follow up on that wild thought. While the Le Pilage is almost as awesome as sliced white bread with a decadent layer of salted butter, it's not formal enough for my business casual work environment. The only imperfection was having to dig into the cavernous interior of the bag to find my phones and keys. I have since solved this problem by ordering an organizer off Amazon that fits perfectly.